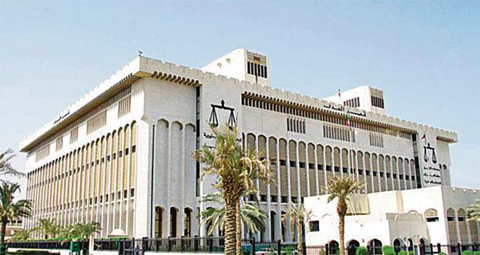 KUWAIT: The appeals court yesterday delayed until March 4 a petition filed by a Kuwaiti lawyer calling to overturn a ruling by the lower court that considered as legal a hike in health charges for expatriates. The delay came to allow the government to submit its defense in the case filed after the health ministry significantly raised health charges at public hospitals only for expatriates and excluded citizens. The lower court had rejected the case, saying it was the right of the health ministry to increase charges at its facilities. The new charges took effect in October and saw some charges rise several-fold. Lawyer Hashem Al-Refai said in his challenge to the lower court ruling that the court had ignored his arguments which said the decision to raise health charges was unconstitutional and violated the Universal Declaration of Human Rights which calls for equality among people regardless of nationality or creed. He also insisted that the decision also violated medical practice laws and regulations. Refai insisted before the appeals court that the decision is also illegal because raising medical charges requires a law and not a ministerial decision, based on a law issued by the National Assembly in 1995. He told the appeals court that the lower court overlooked his arguments and called for a correction to the judgement. The Assembly in 1995 issued a decision stating that the government cannot raise charges on public services without a law by the Assembly. That law did not make exceptions based on nationality.